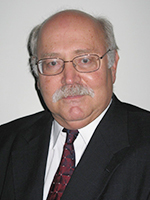 Joseph Fuhr | Econsult Solutions, Inc.
Dr. Joseph P. Fuhr, Jr. is a Professor of Economics at Widener University. Dr. Fuhr received his M.A. and Ph.D. from Temple University and his B.A. from LaSalle University. His primary research areas are regulation, antitrust, health economics, telecommunications, sports economics and econometrics. He has published over thirty journal articles. In the field of telecommunications, he has written on investment and innovation, rural telephony, terminal equipment and universal service. In health care he has written on hospital mergers, exclusive arrangements, health insurance, bundling and doctor’s fees. Professor Fuhr has been an expert witness on antitrust matters related to health economics and has worked on various consulting projects. He is also a visiting scholar at the Department of Health Policy and Outcomes Research at Thomas Jefferson University.